Building Trust With Your Audience: Should a Blogger Care? Should a blogger care about building trust with their audience? I’ll admit to not thinking about this much when I first started Luke1428. The only care of my infancy involved getting my ideas into print. That was stressful enough. Who had time to think about whether or not my audience would trust me. The deeper I go into this journey though, the more I’m realizing the importance of this issue. Trust is the basis of all relationships. Without it, relationships disintegrate. Don’t believe me? Then think about the last time someone you trusted and believed in took a misstep. Your teen who broke curfew. Your significant other who cheated on you. The pastor who became involved in an indiscretion. A co-worker who threw you under the bus to save their own skin. How did that make you feel? Betrayed? Cheated? Disappointed? Wary going forward? Whether we like it or not, we are developing a relationship with our audience, whether that is in a business setting, in a non-profit organization, in our families and yes, right here in a blog. And I would suggest that the more trust we engender from others the more potential for success we will have. I didn’t trust my wife on our first date. Not even really over the summer break from college when we wrote one another several times a month. The seeds of trust were being planted and positive feelings were developing but the trust factor wasn’t in full bloom. That action didn’t happen overnight. It took time. This is how all relationships progress. Don’t be frustrated by that – it’s simply how the relationship building process works. Instead, focus on these five issues to start building trust. Once the audience begins to grow you have to be there for them. They are expecting content. You cannot disappoint them. Talk about creating pressure. I’ve sure felt it. The question then becomes “How much?” How often do you have to be consistently there for it to matter? Once a week, everyday or something in between? I’d suggest it doesn’t matter as long as you are consistent. If that’s only once a week your audience will catch that. As long as the content is rocking they will keep coming back to feed. And they will start to trust in your consistency. What are you writing about? Does the audience know what to expect from you in regards to the type of content? Here at Luke1428 I blog about personal finance. I also touch on concepts related to goals, relationships, lifestyle and, like today, blogging. And once a week I write a post for my Hidden Nuggets Series where I weave my views about God and spirituality into a topic related to money or other life topic. Imagine what would happen if I decided to write about quilting, or bee keeping, or guitars. I’d lose some of my readership. Not that there is anything wrong with those topics but that’s not what my readers are expecting. To help stay on theme I’d suggest you develop a Value Proposition for your blog. This is something I first heard discussed by Sam who runs Financial Samurai and the Yakezie Network. A Value Proposition is a thesis document that outlines what readers should expect from your site. It informs them of what you intend to provide. The beauty of writing one is that it crystallizes in writing what your goals are for the site. It’s a document you can always return to as a reminder when it feels like you are losing your way. One final thought about staying on theme. If you do plan on starting something new or going in another direction, announce that to your readers. Give them the reasoning behind the move and how you think it will benefit them. That’s the type of open and honest communication that builds trust. Nobody likes a know-it-all. Yet that is what I see many people trying to be on their blog. Yes, readers want wisdom and authority when it comes to content. But portraying a know-it-all attitude comes across as phony. Your readers have made mistakes and they know you have to. So why not share those with them (like I did this past Monday). Along side your victories be willing to share your struggles. Talk about how you failed and what you learned through that. Admit when you are unsure about an issue. Ask your readers to help you solve a problem. Opening up and being vulnerable creates a real person behind the content. When this happens your readers will get to know you like one of their closest friends. People don’t have to give me things. But when they go out of their way to be generous, I know it came from their heart. They truly desired to bless me. That action helps build trust. – respond to all the post comments. – promote or link to other websites. – get back within 24 hrs. to those who email you with a question. – give away free stuff. – develop a newsletter with special content not found on your blog. – guest post for other bloggers. In being generous, set the focus on saving your best content for others. That’s right, those newsletters, the free stuff, even that guest post must be top notch. Make sure whatever you disperse to others is high quality, the absolute best work you could do. This goes without saying. If you’ve committed to be there, then be there. If you’ve committed to write a guest post for another blogger then be on time. Better yet, be ahead of time…they will be impressed by that. Sure, life situations will come up that are unavoidable and may cause you to break a commitment from time to time. Simply don’t let it become a habit. No trust can be built when people routinely break their commitments. I believe developing trust is a must for a successful blog. I’m working hard on these five big issues plus a few smaller things I learned from this great article at Copyblogger. See how many of them you are already doing or could work for your site. And get started building some trust today. Do you think trust is a big issue for a blogger to focus on? Can it even be attained? In what ways are you developing trust with your readership? 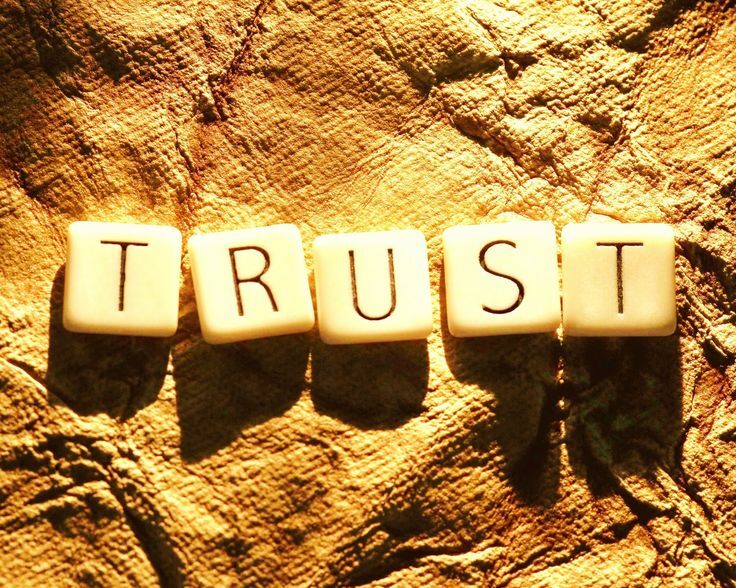 How can we know we are beginning to develop trust? How many days do you publish content and how did you come by that decision? In what ways have you been generous as a blogger? Is vulnerability overrated? completely, however this post presents good understanding yet. I don’t really see building trust as that big of an issue. We’re just blogging – it’s not like we’re making it our mission to change the world. We’re just trying to share some interesting ideas without any thought of financial or personal gain. “…it’s not like we’re making it our mission to change the world.” I see your point…although I think many bloggers are in it to make a difference in people’s lives. I know that’s one of my goals. I think trust is incredibly important with blogs. I know that I’ve stopped reading some bloggers because I feel like all they do is try to push a product not because they believe in it, but because they will make money from it. I think most of us in the PF community got into blogging to help people (and maybe earn a little bit of money on the side) but we all recognize that if people don’t trust us, we won’t be able to help anyone. I’d rather continue to make the few dollars I am and have people believe in what I say than increase my earnings and be a shill for junk and lose trust. Great post Brian. “…all they do is try to push a product…because they will make money from it.” I agree. I’m OK with people making money off their site and selling their own products. But I don’t want that to be pushed on me every time I visit the site. There has to be balance. Promoting money making material should be done in a way that doesn’t turn people off. It’s a real worry and a delicate balancing act. Trust is definitely built over time… I can’t remember any blog that I trust when I only visit it just once. For me, if a blog sounds friendly and posts genuine articles that I haven’t read anywhere else, I tend to stick around and come back for more. I don’t think posting regularly is that important — quality matters over quantity. “…articles that I haven’t read anywhere else…” That’s a big one for me. Repetition is OK to a point. But I don’t want to read the same stuff over and over. Once I started to get regular commenters and people giving me positive feedback about the content was when I started to feel I needed to build that trust. It’s almost as if this blog has become a part of me and if I mislead my readers, I feel I would be misleading myself. I wish I could work with a posting schedule, but unfortunately it doesn’t work out with my personal schedule. I don’t think I could come up with decent writing that frequently. Weekends seem to be the only time I can actually sit, relax and think about what I want to write. Even then, those days can get eaten up by other things. Something that has helped me is writing two posts back to back. Sometimes I get in a writing groove where the thoughts are just flowing and I have to get them out. If you could write two posts on the weekend and schedule them for the week, (Mon. & Thur. maybe) that could be a start. It is important to build a level of trust with our readers and yes it takes time and consistent nurturing. Finding our voice as a writer and being able to convey our personality through our posts are sure ways for readers to feel like they know you to a fair extent. ” Finding our voice as a writer…” That took me some time and I still think it’s evolving. You’ve hit the nail on the head here, Brian. Without trust, you don’t have a relationship with your readers. While you would get by for a time without trust, if you ever plan to monetize your blog, you need to have trust otherwise readers will tune you out. Lots of thoughts to ponder. I don’t mind if someone strays from their main topic from time to time, like 25 things you didn’t know about me…that kind of thing. For me the thing that attracts me most to a blogger is one is who is being genuine, and personal. I don’t mind every once in awhile the 5 ways to save money post, but if it’s every single post I will probably turn away. I want to know about the person and their highs and lows. You can start to see where a writer starts to run out of topics and regurgitates the same type of post over and over. That’s always my biggest fear myself! “…starts to run out of topics and regurgitates the same type of post…” Agreed…That’s why I like being diversified as a writer. I think it’s OK to refresh topics you’ve talked about in the past. Just did that recently with my emergency fund post. Hadn’t really written a dedicated article about that in at least 18 months. But that is spread out far enough not to be noticeable or annoying. Plus I have new readers now that were not around then. I think being open and transparent helps a lot. I tend to like personal blogs where you get to know the person behind the words. Opening up to your readers is one of the best gifts you can give them, so I don’t think vulnerability is overrated at all. I do need to get back on a better schedule for blogging, though I have seen other bloggers have success without a posting schedule. I guess it comes down to knowing your readers, or building up such a loyal following that it doesn’t matter. But I don’t like to take my readers for granted! “…posting schedule…” I’m sticking to three a week for now, plus guest posts. On a typical week I post M, W, and Fr. or Sat. Yes, we absolutely SHOULD care, even if we didn’t’ know it in the beginning. Trust to me is so important in both my personal and professional life, so it seemed natural that it would extend to The Heavy Purse. And it makes perfect sense. If you don’t feel that I am genuine and worthy of your trust – why would you listen to me? You wouldn’t. I certainly don’t follow those who haven’t earned my trust. And I can’t expect anyone else to do differently. Great post, Brian! This seems like it would be a natural thing to want to build with your readers. And it shouldn’t matter what type of format your blog takes. This works whether it’s a personal blog sharing intimate details of your life or business blog sharing about your company. The best weapon we have to have is total trust from our readers and their loyalty. We should also be confident in ourselves if we want others to be confident in us and appreciate the work we are doing. I think what most people fail to accomplish is to remember that it’s about your audience, your readers, your commenters. When you can make it more about them than anything else they’ll be able to tell and that will make them want to come back for more time and time again. Alicia recently posted…Is there such a thing as a cheap pet? “…be confident in ourselves…” I like that Alicia. I think readers can sense that confidence in how you write. Didn’t think much about it at all when I first starting blogging, was to concerned about content frequency, the web site itself, etc. But agree being genuine is the best approach for building trust and an audience. “…Didn’t think much about it at all when I first starting blogging…” It’s just not on our radar in those early days. I’d redo much about those first six months would I have it to do over again. I built my successful financial services career on being honest and trustworthy with my clients. It is just a practice that is part of my DNA so it is also part of my blogging now. I find that the bloggers that I am more drawn to are the same way. We are all on an honest journey doing the best we can along the way. “…on an honest journey doing the best we can…” True Shannon…and trust is built when others can share in that journey. You, once again, could not be more exactly correct. My last relationship died from a lack of trust and when my audience doesn’t trust me I know that they go elsewhere. Keep up the great work. That’s too bad Brad. Trust takes so long to build and then to have a relationship fall apart because that trust is lost is a tough thing to deal with. I like this post. I guess I haven’t went out and specified my value proposition yet, but it is probably something I should do. As my blog is still a baby, I need to establish a consistent posting pattern that I will be able to maintain in the future. I am currently thinking 2 posts a week + a weekend post, we shall see! The value proposition was a great exercise for me. I’d highly recommend it. And just starting out I wouldn’t do more than 3x per week, especially if it’s a part-time deal/hobby. Excellent post, Brian!! I like showing up consistently as the best tip, here. So many bloggers just blog when they feel like it and that’s a huge mistake. Consistency builds trust, like you said, and it will keep your readers coming back. Thanks Natalie! I lose track of bloggers who post sporadically. When it’s out of site it’s out of mine. Good post Brian! Like you. I didn’t think over trust much as I started my site and as things started to grow I really began to see the need for it. At one level, you’re always going to find people that won’t trust you for a variety of reasons, but that should not hold you back at all from trying to build it. Like Holly said, I think so much of that goes back to being yourself and simply being genuine. People can sense that in your writing and pick up on it. I also like you added in the vulnerability aspect. It may seem counterintuitive, but I don’t believe it is at all. People connect with those they can relate to and vulnerability provides a way to give life to that. “…the vulnerability aspect…” It makes sense to me. We learn more from our mistakes than our victories. I agree with Holly, you need to be genuine, and you are, Brian! You’ve given me some good food for thought. I’m having a hard time keeping up with all the blogs I subscribe to. I hate to do it, but I think I’m going to have to drop some from my reader. Which ones do I drop? Which ones do I keep? You can bet that trust and all that encompasses will play a part. “…a hard time keeping up with all the blogs…” I know…it’s so time consuming. I’m experimenting with a some new strategies to help me maximize my time with that. I’ll see how it goes for the next month and probably write a post about it. To build trust, also be yourself! I think that is one of the most important components of all of this. Holly recently posted…Who Wears the Financial Pants in Your Family? “…be yourself!” Yes…that’s a big deal to me. The cool thing is you can be yourself but still evolve and get better. Being yourself shouldn’t be an excuse for laziness or substandard work.